Detroit&apos;s new mayor in his younger days. 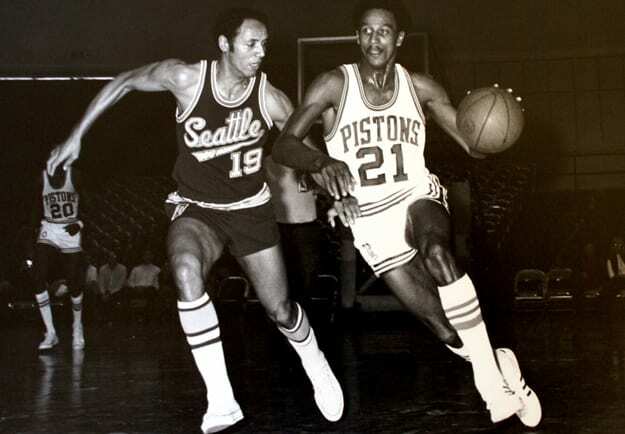 Yesterday came the news that Detroit had elected a new mayor, former Pistons star and NBA Hall of Famer Dave Bing (Bing&apos;s replacing D-Town&apos;s "Hip-Hop Mayor" Kwame Kilpatrick, who kept it a little too real and landed himself in the bing). Bing&apos;s not even the first former NBA star to be elected mayor in the past year; former Suns All-Star Kevin Johnson was tapped to run his hometown of Sacramento last fall. • This town of fewer than 10,000 people might be a bit small for a big timer like A-Rod, but at least he won't have that many people to tell which pitch is coming. • Genoa (pop. 252) is even smaller than Tipp City, but somebody's gotta lead the "Home of the Candy Dance." • The former Niners safety who once had a pinky amputated so he could keep playing seems like a perfect fit for "Stumptown." • "The Wild Goose Capital of the World" deserves Favre, the wild-goose-chase-leading quarterback who's the NFL's all-time leader in touchdowns thrown, yards and fake retirements. • We've always wanted to visit Danica's Happy Valley.